As summer approaches, many restaurants need to hire talented staff to handle an increase in business and deliver a pleasant and satisfying experience to customers. But too many restaurants lack a clear and consistent hiring process. As a result, they are wasting time and money interviewing applicants that are unqualified or a bad fit for the company culture. The recruitment and selection process for your restaurant should revolve around your employment brand and the qualities it embodies. To get an idea of the characteristics of your restaurant that you will look for in potential employees, evaluate your top-performing current employees. Ask yourself what qualities make them successful. Take surveys of both your employees and your guests to find out what they appreciate the most about your company culture, and what aspects are most important to them in the customer or employee experience. For a more strategic restaurant recruiting process, you can tailor your job applications and interview questions to these values and characteristics. The key to a consistent and effective recruitment and selection process for your restaurant is to use an applicant tracking system that automates many of the important steps that lead to the best hires. 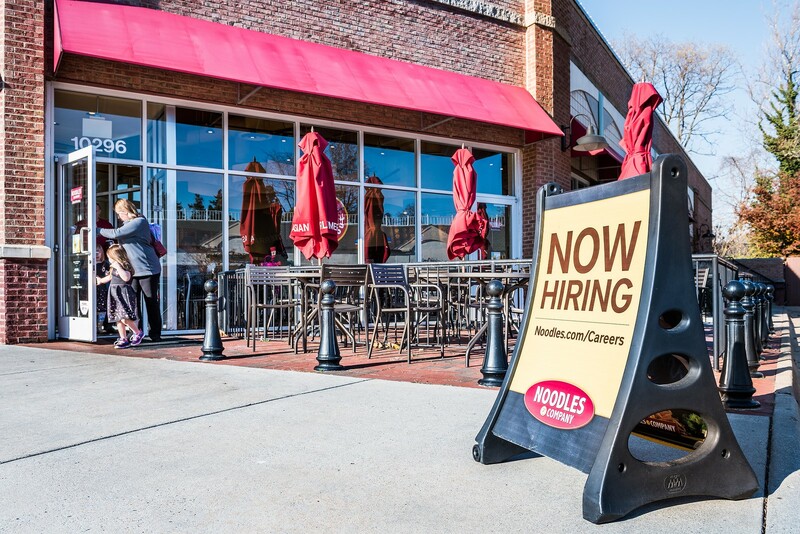 While it’s still a good idea to post “Now Hiring” signs outside of your restaurant, when applicants walk in refer them to apply online. Since the summertime brings an influx of tech-savvy high school and college applicants, this is likely to be their preferred method anyway, which will increase your candidate pool. Once your company receives job applications, the applicant tracking system will search for qualified candidates based on the requirements and characteristics you choose beforehand. This will make the restaurant recruiting process more objective, and as a result your staff will conduct less interviews with unqualified candidates. To really understand if a candidate would be both a skilled employee and cultural fit, it helps to conduct talent assessments that ask questions tailored to what you are looking for in a candidate, such as sales ability and if they work well under pressure. The questions give you deeper insight into exactly how a candidate will perform on the job and if they truly have the personality traits you need. Talent assessments are usually built into applicant tracking systems. Based on the candidate’s assessment scores, many applicant tracking systems will also help you move along in the recruitment and selection process for restaurant staff by providing appropriate interview questions for each candidate. Applicant tracking systems allow you to evaluate metrics that can improve your restaurant recruiting process. You can find out what channels are bringing you the most talent employees the quickest, such as social media, employee referrals, online job boards, etc. You can also conduct surveys with job applicants about the quality of their candidate experience, and with current employees about the quality of the overall recruiting, training and onboarding process.